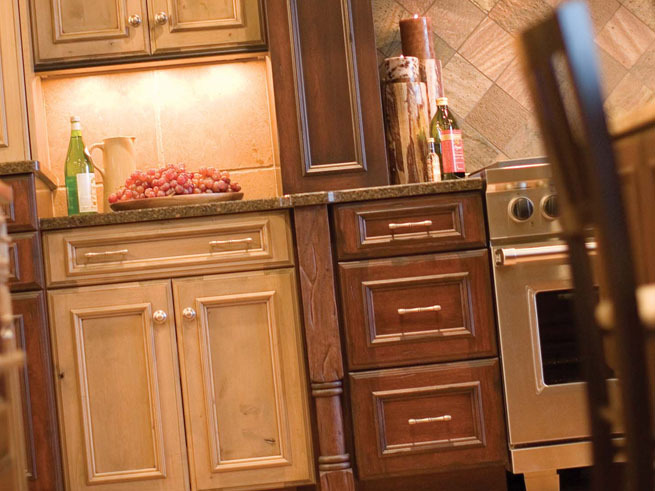 Refacing your cabinets can save you money, time on a build and also protect the environment in the process. For all of these reasons it is worthwhile considering refacing your cabinets rather than tearing them all out and starting out fresh. The cost savings is one of the most compelling reason to consider cabinet refacing rather than tearing them out. Installing new cabinets either from factory produced or custom made can cost a small fortune. And the build materials you bring into your kitchen do not necessarily ensure that you will have a great return on investment from your build costs. It is the design and the imagination and the popularity of the design choices that ensure the value of the work on a home resale. You can reface the cabinets to look as new, updated and fashionable kitchen elements just as easily as you can tear them out and install new cabinets. Certain cabinet colors are popular these days with homebuyers. White is in and refinishing your cabinets to whiter color tones with contrasting dark granite countertops and stainless steel appliances has proven to sell well on the marketplace in Chicago, IL (and other parts of the country for that matter). White may be in as a design color style for the next ten years or beyond. And if the day ever comes where white cabinets are no longer in fashion you can just as easily strip away that white paint and have your cabinets refinished by our expert team of wood refinishers. Design choices and public buyer tastes may change in future and so spending a small fortune on a kitchen rebuild may not make any sense at all. Of course, the kitchen is still the heart of the home and has always had the best return on investment of any part of the home bar none. 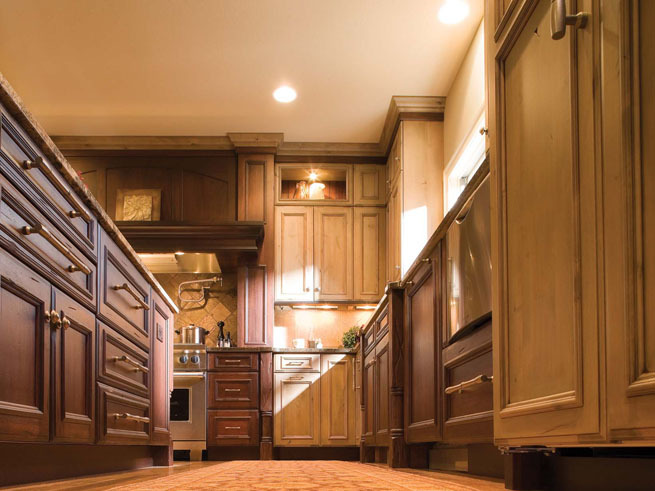 But you can go further with that by cabinet refacing and refinishing your existing cabinetry to save even more money and also increase the value of your home. Perhaps you do not like the look of your cabinet doors? Those elements can be replaced entirely by custom made new ones. We have a woodworking facility which can produce wonderful, custom cabinet doors to suit your style. The state of Illinois and its residents produce an average of 20 percent more garbage per household and per person than residents of any other state in the union according to a 2008 study. Walk through the alleyways of Chicago, IL and you see many wood furniture items which could be repaired and refinished and made new again. Our company is dedicated to building greener and we will salvage and repair your furniture so that they do not have to fill a landfill. No job is too small for us! We recognize the value of what we are doing environmentally speaking and money does not enter into the equation. A company that purely seeks profit ahead of the environment is in the long term destroying itself and the people and clients it should care about most. If more businesses sought to think long term and of the value of their work in the present and future than we would have a much brighter future to look forward too. In addition to saving money and being environmentally friendly cabinet refacing can be a relatively quick process. We can get to work and have your kitchen refaced and renewed within a five day period. And you will love the look of your new kitchen. Bringing new style into the home can really improve the value of your life. Perhaps you have heard of feng shui and how design of a home can influence how you feel and live. Maybe you also have heard about the effects of color psychology as well. A new design and build can literally be a new beginning in your life. If you feel your environment is stunting your personal growth than by all means strive to make a change for the better. You will be glad you did.